The Consultants’ Network is a consortium of INDA Member Consultants. These Consultants have expertise in the areas of management, product development, market research, competitive intelligence, technical consulting, intellectual property and much more. The number of Consultants recognizing the benefits of being included in this Consultants’ Network continues to grow year after year. The Consultants’ Network is for INDA Members only. To discover how you can become an INDA Member and be a part of the Network, contact Morris Collins, mcollins@inda.org, (919) 459-3700 ext. 3714. Below is a listing of INDA Member Consultants and the services they offer. Consultant to the Air Filtration Industry. Product development and new business development specializing in the Far East. Cover equity of companies in nonwoven space (Berry Global) as well as adjacent companies in fluff pulp (Domtar and Glatfelter). Brian McClay & Associates, Inc. Provider of a subscription-based market information service to the global wood pulp trade. new tampon innovation in 80 years. Executive Search Firm that specializes in the Nonwoven Industry placing positions throughtout the U.S.
We convert “B” grade (waste) fiberglass and polyester mat into other useful products but not into the original industry it was made for. Provides regulatory compliance consulting services for fire retardant state and federal standards. Provides technical product development consulting services. 78220 SAN LUIS POTOSI, S.L.P. Consulting work throughout the nonwoven supply chain. Develop commercialization plans for Latin America. Market statistics in Latin America. Expert in the field of pocket-sized diaper kit solutions. I am immersed in the green market consumer space and work with mothers and consumers helping them find greener lifestyle products. Group is a diverse group of innovative professionals with demonstrated expertise in research, development, design and manufacture of advanced nonwoven equipment, processes and materials. Research in forest operations, wood products, pulp, paper, and biomaterials. Filtration media consulting including marketing, product development, and melt spinning process development. GSM provides safety data sheet services around (M)SDS management, authoring and translation to help members avoid OSHA fines. Consulting firm in the areas of product development, intellectua property, expertise in absorbency, nonwovens, natural and synthetic polymers, and natural and synthetic fibers. We assist industry to raise capital for expansion or to complete a merger and acquisition transaction. IFAI provides events, publications, education, networking, business resources, industry advocacy and more. We work with members to provide sourcing solutions and referrals throughout the sales and production cycle. We deliver timely industry content to help you stay informed about your marketplace. Our divisions provide market-specific activities and benefits to members. IHS is the premier provider of Market, Planning and Business Advisory services offering a unique combination of consulting analytics and expertise for the global chemical, plastics, fibers and chlor-alkali industries. With offices in Houston, New York, London, Dubai, Düsseldorf, Singapore and Shanghai, IHS has provided expert business advisory services to a broad base of companies across multiple value chains and geographies since 1979. Clients to IHS services include chemical and oil companies, technology & EPC companies, banking and financial institutions, plastic converters, textile & apparel manufacturers, brand-owners, grocers/retailers, government agencies and trading companies. Consultants to the nonwoven and absorbent hygiene producers worldwide. Professional and objective valuations as well as handling of surplus equipment. 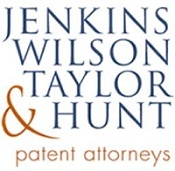 Experts in patent applications for nonwoven products. Consulting: Innovation for Consumer Products in these 3 categories – Incontinence, fem Care, and Diapers. From Concept to Launch. Including Raw Materials. Engineering: Machinery acquisition/technical support for FAT, SAT // Sales equipment for the US market. Business Development: Bring NEW businesses to the US from customers that are not familiar with the US market. Strategy Support – Business Plan, Scope. Consultant to general industry, equipiment sales, market research, project management. MDI is ISO 13485:2016 and FDA registered for medical device assembly and packaging. We offer the highest quality of contract manufacturing services for medical market customers. MDI’s production services facility is over 60,000 SF, with options to add additional space to support growth. The space is ideal for FDA Class I and Class II medical devices and for companies looking to outsource medical devices sub-assembly, kitting, assembly, packaging, testing and rework services. Nelson Labs is a leading provider of full, life cycle microbiology testing services for the healthcare industry. O’Neal provides design, engineering, procurement, and construction services for capital projects to clients in the nonwovens industry. Consulting in the area of translating consumer insights to novel product designs utilizing fibers and nonwovens for the consumer, medical, and industrial markets. Global management consulting services for the nonwoven and hygiene industries. Product Isnights began in 1994 as a product development consultancy specializing in nonwoven product design and development, and has grown into a market agency for consumer testing. With over 20 years’ experience, we are able to bridge the gaps between technologists and consumers. 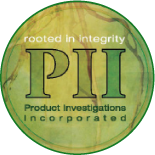 Product Investigations Inc. is an independent clinical research laboratory specializing in safety and efficacy testing for a wide variety of products, including personal care and household products, toiletries, medical devices, textiles, cosmetics, pharmaceuticals, and active/raw ingredients. Protective Diaper, L.L.C. has invented a new and utility patented diaper. This is patented in 14 countries. The firm is active in partner exploration globally. We are eager to provide you with the best consulting services available to the disposable diaper industry today. If you are looking to get started in the disposable diaper business, we can teach you and help you understand what is needed in order to avoid common and costly mistakes. If you are already a diaper producer, our in-depth diaper factory audits can help you identify problems and save you tons of money. Business planning, research, sales planning, operations, acquisition, integrations, and more. All associates have 25 years’ experience. Consultants in marketing, market research and product development. SNS is a consultancy that specializes in managing the production of electrospun fibers. Consultants in the development of cotton and natural fiber products. Developing new, innovative distribution systems. 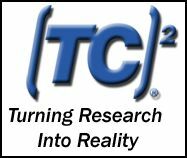 Consultants for research and testing, third party testing lab. Research related to quality control in the nonwoven fabrics industry. 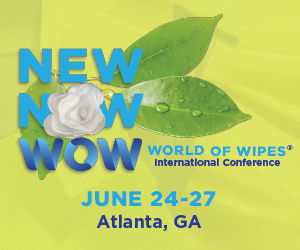 University of Alabama at Birmingham, Public School of Health, Environmental Health Sciences Department – Our department will explore how nonwoven fiber research can be further applied to the field of industrial hygiene (filter media, samplers, etc.). Research and testing of nonwoven products. Consult for both roll goods manufacturers and filter fabricators in the areas of filter performance and associated testing and manufacturing equipment.